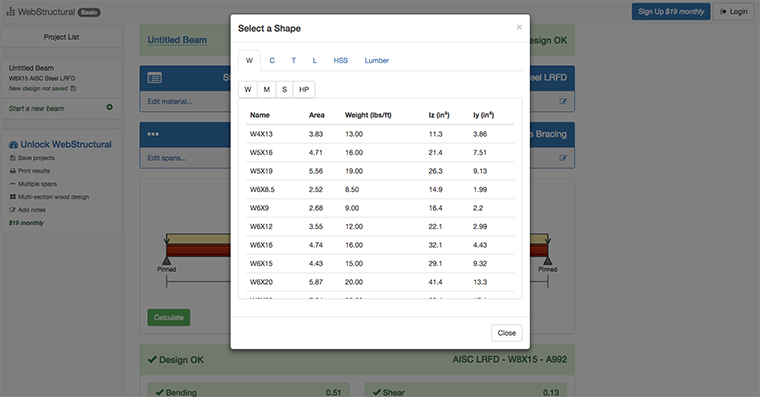 Designing steel and wood beams has never been easier. There's nothing to install and everything is synced to the cloud. WebStructural is mobile friendly too - try it on your tablet or phone. There's nothing to install. Access your designs from any browser, anywhere. Steel and wood design with LRFD, NDS and ASD design checks and load combinations. 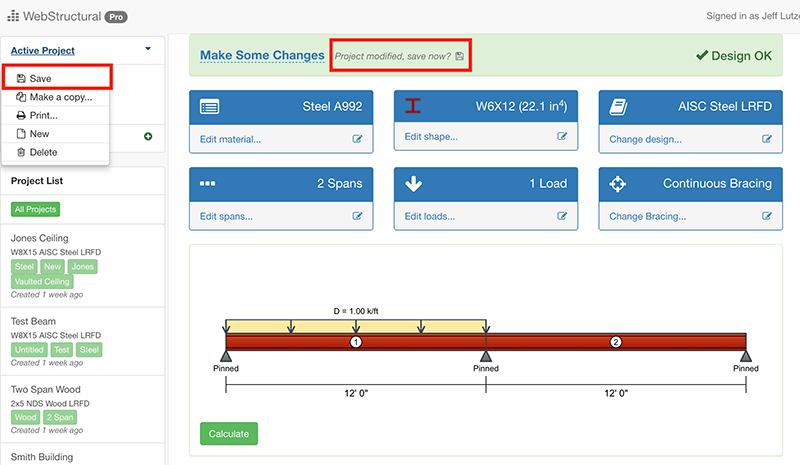 With a quick learning curve you'll be designing steel and wood beams in minutes. Easy to use but powerful enough to solve your most complex problems. 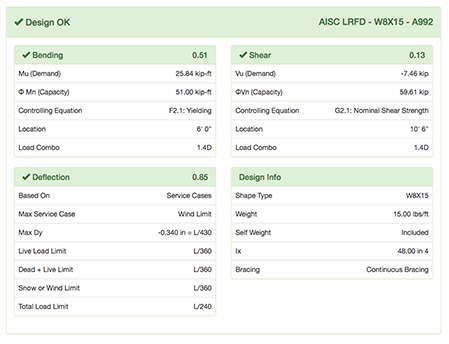 AISC Steel and NDS Wood Design LRFD and ASD Design Checks and Load Combinations. Use the Basic version free of charge. 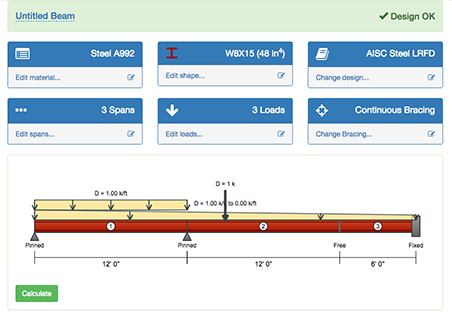 Design multi-span beams with complex loads with WebStructural's intuitive interface. An interactive drawing area allows you to design complex, multi-span beams in minutes. Easy to read, printable and comprehensive design reports. 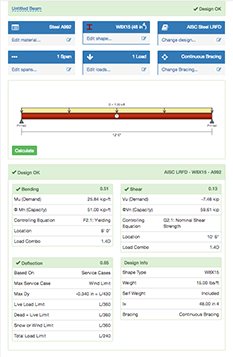 Deflection, shear and moment diagrams allow you to quickly validate results. Choose from a wide variety of steel and wood shapes. Upgrade to WebStructural Pro to save and print projects. Sync projects to the cloud and access them anywhere, from any browser. No more painful upgrades or compatibility issues. Design with confidence knowing your projects are backed up in the cloud. Use the Basic level to design simple steel and wood beams. Use it as much as you'd like. Upgrade to Pro when you're ready to start saving projects and printing.